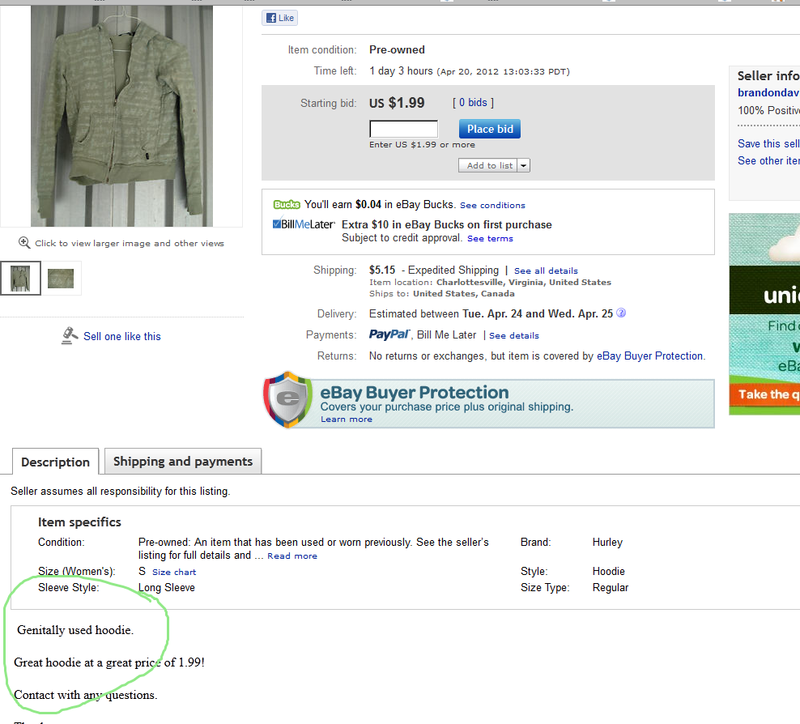 This has to be the funniest thing I've seen on Ebay in my 13 years as a member. That is both disturbing and hilarious! Glad the seller fixed the typo, but not surprised he/she wasn't able to sell it. Does it help you to know I originally bought my musical-note hoodie at Forever 21? I'm so flattered that you like it enough to look for similar prints! I had a roommate who handed out her resume to hundreds of employers and got very few calls for interviews, so she asked me to look over it. Turns out she was a pubic relations major. Whoops.